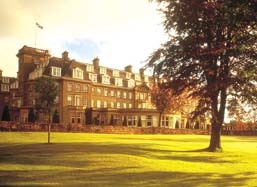 Gleneagles Hotel is a luxury AA 5 Red Star hotel, world-renowned for golf on the King's, Queen's and PGA Centenary courses. Gleneagles has a unique combination of leisure activities including riding, shooting, falconry, country club and is surrounded by breathtaking countryside, yet within 1 hour's drive of both Edinburgh and Glasgow airports. Find the best deal, compare prices and read what other travelers have to say at TripAdvisor. Coll Earn House, High Street, Auchterarder PH3 1DF, Scotland Find the best deal, compare prices and read what other travelers have to say at TripAdvisor. Auchterarder House, Auchterarder PH3 1DZ, Scotland Attractive Victorian Hotel, originally a country mansion dating from 1832. Find the best deal, compare prices and read what other travelers have to say at TripAdvisor.